The course Annual Training for Individuals Who Use Fluoroscopic Equipment from FluoroSafety is approved for up to 2.0 hours of Category 1 CME, and designed to meet the requirement for ongoing education and annual training for individuals who use fluoroscopic equipment as outlined in Joint Commission Standard HR.01.05.03. 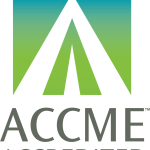 This course also offers risk management CME and you may be eligible to claim MOC credit for many medical boards including ABIM, ABA, ABPMR, ABR, ABS and more. This course is updated annually. Groups needing to train multiple physicians and/or technologists can contact us for information on site licenses. This course is designed to be used as ongoing annual training for users of fluoroscopy and does not cover many concepts that are necessary for developing a comprehensive knowledge on the safe use of fluoroscopy. Those seeking initial training on the safe use of fluoroscopy should instead complete the Basic Training Program on the Safe Use of Fluoroscopy or the Advanced Training Program on the Safe Use of Fluoroscopy from FluoroSafety. Please see our Joint Commission initial training page for more details. This course is available now for $90.00.